This week is rich with great blog posts. 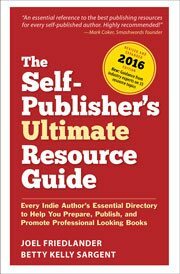 From advice on raising your author profile to formatting for print or ebooks, to digging into analytics and a new way of thinking about readers and authors. Have fun! Quickest, easiest, cheapest way to create an ebook? Over the next few weeks I’ll be doing a lot of video production and there may well be some days without a new blog post. What – no blog post some days???? Joel, that’s sacrilege! My pleasure, Joanna. Not sure how it will go, but wanted to alert those people that read the blog with their morning coffee. And who knows, I’m halfway through that speed-typing course . . .